Tales from a Panamá-mama: Happy SITS day to me! Happy SITS day to me! It's like a birthday with no cake! 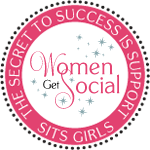 Today I'm the featured blogger on SITS! 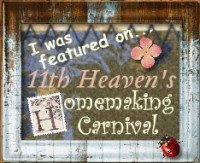 Then head over to check out my Book Blog and Cooking Blog! Happy SITS Day. Enjoy the spotlight. I have said just about everything you have listed on your previous post!!! Happy Sits Day to you! And you could still enjoy cake, I love cake! Happy SITS Day!! Enjoy your day!!! Happy Sits Day. I am a natural blogger too and love finding others like me :). Off to read some more. Enjoy your special day. Happy SITS day! Your blog is so cute! Love the pictures of your family. Happy SITS day! May your chickens lay many eggs in your honor, so you can bake that cake after all!! Congrats on your SITS Day, I am adding your blog to my feed and look forward to exploring! Happy SITS Day to you! Lovely blog :) newest follower! So thrilled for you, Michelle! Happy SITS Day to ya! Hope you enjoyed your special day! I went to college in the South (NC)- hated the ma'am-sir thing, but loved/miss the friendliness. And, for years, I've vowed to have my own chickens one day..
Yay! glad to see what's going on in Panama; in your about you, you didn't mention how you came to live there...are you from there? (if so, your English rocks--I can't imagine blogging in a second language!) Also, are you on goodreads.com? It's my fave for book ideas and getting reviews of what to read next. Happy SITS day! Looking forward to browsing around! Yippee! Yahoo! I hope it was great and that you got to meet lots of new bloggers.